What is faith? Faith is often characterized as blind belief just because we want it to be true. It’s sometimes thought to be belief in spite of evidence to the contrary. But is that really what Biblical faith is like? 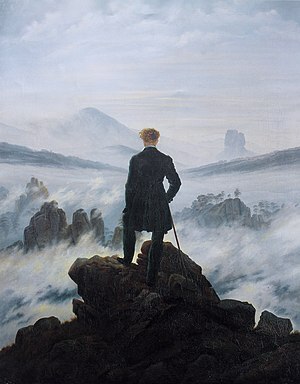 Suppose we are climbing in the Alps and are very high on the bare rock, and suddenly the fog rolls in. The guide turns to us and says that the ice is forming and that there is no hope; before morning we will all freeze to death here on the shoulder of the mountain. Simply to keep warm the guide keeps us moving in the dense fog further out on the shoulder until none of us have any idea where we are. After an hour or so, someone says to the guide, “Suppose I dropped and hit a ledge ten feet down in the fog. What would happen then?” The guide would say that there might be a ledge and there might be a cave on that ledge and you might make it until the morning and thus live. So, with absolutely no knowledge or any reason to support his action, one of the group hangs and drops into the fog. This would be one kind of faith, a leap of faith. Suppose, however, after we have worked out on the shoulder in the midst of the fog and the growing ice on the rock, we had stopped and we heard a voice which said, “You cannot see me, but I know exactly where you are from your voices. I am on another ridge. I have lived in these mountains, man and boy, for over sixty years and I know every foot of them. I assure you that ten feet below you there is a ledge and a cave to provide some shelter. If you hang and drop, you can make it through the night and I will get you in the morning. Schaeffer’s story captures the idea that faith is not blind. It is based on reason, logic, information, but lives in a situation where a gap exists. Faith bridges the gap by trusting in someone or something in a better position than yourself. In this story, faith was put in the knowledge of the man who grew up in the Alps. It was a rational, tested faith based on questioning the man’s knowledge, but it was still faith because the ledge below couldn’t be seen, touched or definitively known. This idea that faith is well informed and not irrational is the first point to keep in mind. The second point is about the object of faith. When you walk across ice, your trust is put in the ice to hold your weight. Ice is the object of your faith. If your trust is misplaced, you’ll quickly be wet, cold and in significant danger. It wouldn’t have mattered whether you have a little faith in the ice or trust it fully. The strength of the object of faith is what counts. It the story it was the knowledge of the guide in the fog. Christian faith captures both of these ideas. First, God provides evidence of Himself in creation, in prophecy, in archeology, in Scripture’s consistency across the ages and in the life of Jesus. He doesn’t leave us without witness or guidance. Second, He then requires us to make Jesus the object of our faith. Jesus’ sinless life, substitutionary death and bodily resurrection are what matter. As Paul said, if Jesus didn’t rise from the dead our faith is in vain (1 Corinthians 15:17). Putting trust in the Creator of the universe rather than our own feeble attempts to be good doesn’t seem like much of a stretch when you look at the history of mankind’s failures an our own individual struggles. We have all sinned and fall short of the glory of God and must put our faith in Jesus’ work to wash our sin away so we can enter God’s presence. Hebrews 11:1 — Now faith is the assurance of things hoped for, the conviction of things not seen. Romans 8:24-25 — For in this hope we were saved. But hope that is seen is no hope at all. Who hopes for what they already have? But if we hope for what we do not yet have, we wait for it patiently. I Corinthians 15:17 — If Christ has not been raised, your faith is vain; you are still in your sins. the distant scene– one step enough for me.